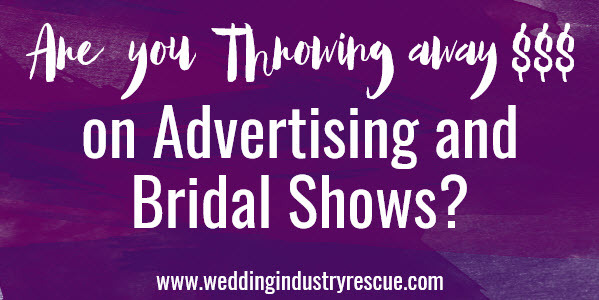 Are You Throwing Away Money On Advertising And Bridal Shows? You’ve all heard the saying, “If at first you don’t succeed, try, try again”, but I think some of us in the wedding and events industry take this to the extreme, particularly when it comes to advertising and bridal shows. We keep doing these things over and over again, even though they’re not producing the results we desire. Or worse, we don’t even know if they’re producing results at all, and still we keep doing them. 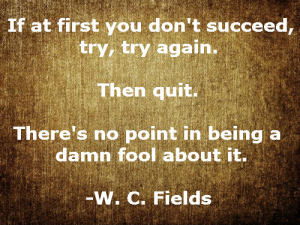 So Quit! Stop It! Don’t do another thing or spend another penny until you can honestly say that this is working for you. There are a ton of ways that we can spend our marketing and advertising dollars and some are more effective than others. You work hard for your money and your end goal in business is to keep as much of it for yourself as possible! So why the hell did you just sign up for that bridal show that didn’t bring you any results last year?? I’m going to say something crazy here, and piss off some ad sales people in the process, and tell you that you don’t have to be there just because your competition is there! Oh yeah, let it sink in for a moment. Say it out loud if you want. But get used to saying it, because you’re going to start saying it to every sales person that tries to sell you this load of crap from this point forward. The next time someone tries to sell you ad or booth space and uses “Your competition is going to be there” or “It’s a great way to get your name out there” shut it down! If that’s the only value they can bring then I assure you it’s not a value at all. Who cares if your competitor is going to be there? 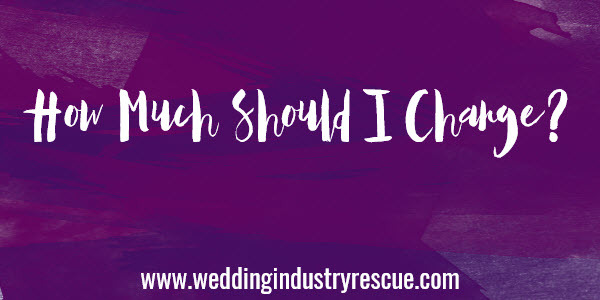 Statistics show that the average wedding professional is making less than $50,000 (before expenses) a year so why would you want to be in the same situation as them? Does this give you a free pass on allowing random ad people to design your ad for you? Or showing up to a bridal show unprepared? Absolutely not! You need to own your part in your own failure in advertising and marketing. And if you’re not seeing a return of investment on these things, you need to do a true evaluation of why. Because there are plenty of effective advertising options and bridal shows that do rock. Are you standing in the way of your own success with these advertising mediums? Once you own your part in it, there’s no reason to keep throwing your money away. If you don’t know what you’re doing with your advertising and marketing then get help. But not from the ad sales lady! Do you need help with your marketing strategy? 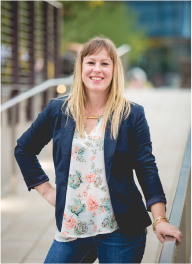 Wedding Industry Rescue provides one on one and group coaching for businesses just like yours. Contact us today! Don't Fu**ing Lie To Me!